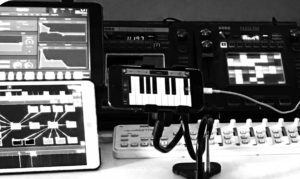 Lefteris Papamallis shows us his chops playing a live action movie type symphonic score using nothing but Korg Gadget, Sampletank, and Sunvox on an iPhone with a couple midi controllers. Lefteris Papamallis is a greek composer, instructor, and author. He used korg gadget 10 tracks, sample tank 8 tracks, and sunvox for channels delivery. SunVox For iOS Ver 1 7 3 Adds Support for Jack, AudioBus, and More! SunVox is the Most Powerful music creation tool for iOS. It is a small, fast and powerful modular synthesizer with pattern based sequencer (tracker). With this program you can compose music anywhere. On any device. It also available (for FREE!) for Windows, Mac OS X, Linux, Maemo, PalmOS, Android, and other systems. • Audiobus and JACK support. The main menu – button with wrench in the upper right corner of the screen. How to connect one module to another? For multitouch devices: first touch on source, second touch on destination. For other devices: select the first module (source); click on the LINK button; select the second module (destination). REC button is only for notes and controllers recording. If you want to record sound – use the Sampler module (REC button under the Sampler controllers). SunVox is a small and fast multi-platform pattern based sequencer (tracker) with modular synthesizers. With this program you can compose music anywhere. On any device. It also available (for free!) for Windows, Mac OS X, Linux, Maemo, PalmOS and Windows Mobile. 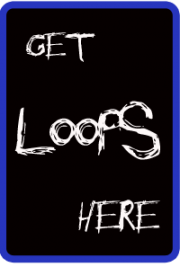 THIS IS AN iPadLoops SITE FAVORITE FOR SURE, HIGHLY RECOMMENDED!